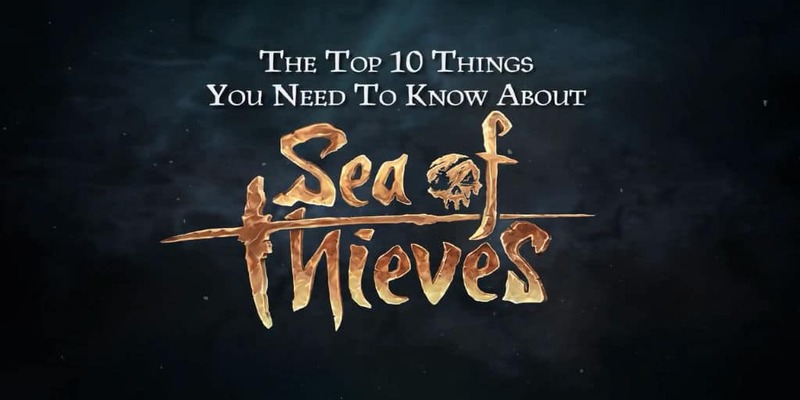 Rare Lists the 10 Things We Need to Know About Sea of Thieves | Nerd Much? Sea of Thieves was one of the surprise hit titles coming out of E3 2017. Leading up to the event, the game was a bit of mystery. No one really had any idea what to expect from it, or what it was really about. But once gaming masses got some hands on time with the game on the show floor, it was pretty universally agreed: Sea of Thieves was fun. The four player pirating co-op game is poised to launch in early 2018. And while the game performed well at E3 and there’s currently an alpha play test taking place, the majority of gamers still don’t know exactly what to expect from the game. Luckily for us, Rare has put together a lovely five minute video details just that. Well, at least 10 things that we should be expecting from the game. There’s a lot of surface level stuff in the above video. One being Rare touting themselves as the developer, bringing with them 30 years of game development experience. But they do use some of their bullet points to actually divulge some information on their upcoming pirate title. Like how you can board rival pirate ships in an attempt to wipe them out and steal their plunder. Or the ability to investigate random islands for loot before any other pirating parties do. And beating other pirate teams to the punch is an important thing, as Sea of Thieves‘ world is a shared world. If you see another ship in the distance, that not a NPC, that ship is filled with actual players. And whether you decide to pal around with them or just begin firing off canons is entirely up to you. Rare takes time to stress that the game is built around a social construct. “It’s all about adventuring with friends” they say. And then further along in the video they showcase the streaming abilities built into the game. It’s clear they are hoping Sea of Thieves becomes a go-to co-op game of sorts for streamers and their friends. We’ll just have to wait and see whether that aspect of the game catches on or not. Sea of Thieves will feature cross-network play for Windows 10 PC and Xbox One. The game releases on both platforms early next year.